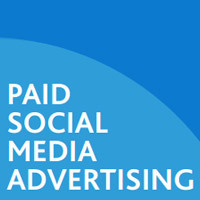 The latest report from Neilsen on paid social networking advertising models has found that whilst it continues to be an area of growth, a lack of metrics designed to provide ROI data is hampering stronger growth. The study shows that advertisers themselves have more faith in paid social media models, whilst agencies tend to be a little more sceptical. This is because there is no industry standard that has yet been provided to measure ROI. By collaborating with advertisers and agencies and using software, this could easily be overcome however, and lead to stronger growth within the sector. Of those asked, the study found that whilst none of the businesses questioned failed to use social media at all, 6% of agencies did. For paid advertising, more agencies used this model as a free tool, when compared to individual businesses. Many agencies and advertisers alike want to use the same metrics to measure ROI as they do with other forms of advertising, both online and off. However, social networks don’t provide this at the moment, meaning there is no really effective way to measure ROI without the intervention of third-party software. However, by collaborating, agencies and social networks could agree on an industry standard to bring metrics to the same analytical level as other online paid marketing models. This kind of collaboration is vital if social networks want to promote growth within the industry and provide advertisers with the data they want. It’s thought that this lack is the only thing currently holding the medium back. Social networking itself continues to grow at a rapid rate and 83% of all businesses now use it as a free tool. It’s thought that every one in seven internet users now has a Facebook Page, and four out of every five internet users visit social networks and blogs. Whilst growth is there, advertisers and agencies remain unconvinced about its effectiveness, meaning that further growth is hampered. Currently, metrics such as likes, pins and click-throughs are generally used to measure ROI, but advertisers and agencies would prefer to use sales generated metrics, which are brand related and cross platform. This means that there exists an opportunity for “everyone to get on the same page” in order to increase the use of paid social advertising. “Media sellers and agencies who invest in building out the capabilities required to deliver these […] are likely to capture dollars relating to social media advertising,” the report said. Currently, advertisers use between 1-10% of their annual budget for paid social, but whilst this is growing, it could be faster. Many of those who use social, paid or not, said that they use it mostly for promoting brand awareness, with the majority using display ads following by online video. For the most part, advertisers like to take a cross platform approach and this is why metrics are required which allow for ROI measurement across the board. Whilst in its infancy there was much debate about the effectiveness of social, this has since been somewhat qualified by social success stories. In order for the industry to accelerate growth now and for the future, investment is necessary to introduce a working metrics model that agencies and advertisers can run alongside their other advertising efforts. Rethinking your social media spend? Get in touch with MySocialAgency’s social media marketing team for a review.